I think I can safely reveal this year's Christmas theme. I have been collecting maps to wrap presents all year - thinking the theme would be a recycling Christmas. Once we moved I thought the theme worked better as a sort of moving/road trip for the holidays. Hah! 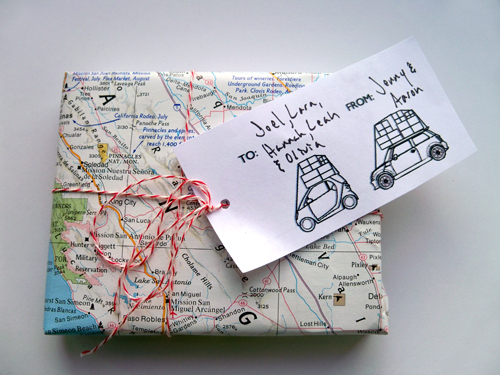 I really loved wrapping gifts with maps - they worked out so well. I made tags that are our our Smart Car and Mini Cooper with moving boxes/presents tied on top. 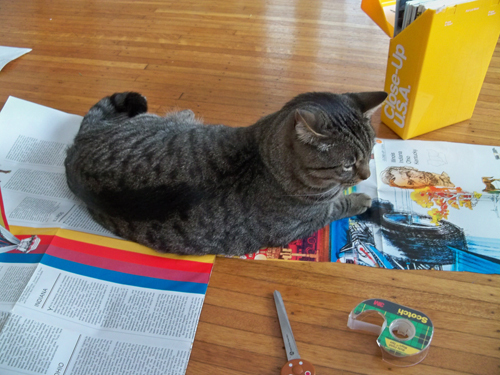 Stewie was soooo helpful when I was wrapping gifts. Such cute ideas! 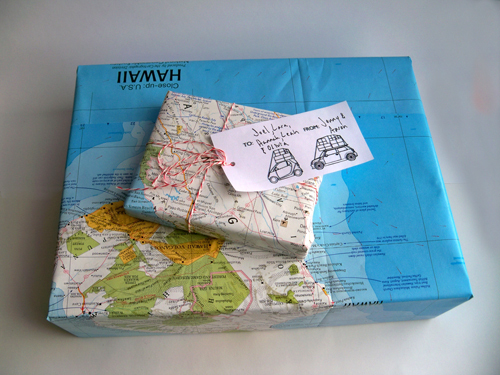 I love wrapping with maps too. Especially gifts for men (why does it seem to be manly giftwrap when they so rarely use them? 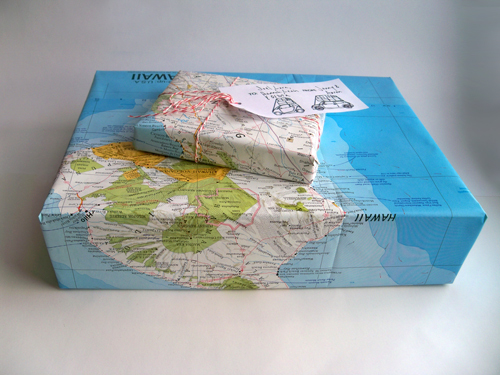 heehee) The paper that maps are made of is usually so nice & thick - far superior to cheap wrapping paper!